The Mark Vancouver condos for sale is the tallest building in Yaletown, and the first phase release of the lower floor units was a huge success, with most units sold out within hours of the pre-sales launch. 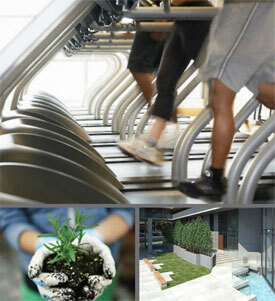 Coming soon, the second phase release of luxurious Yaletown Mark condo tower residences is coming. 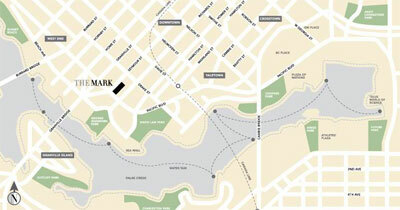 Best of all, the next release of downtown Vancouver Yaletown Mark condos will be the upper floors residences. The 41 storey landmark Yaletown condo building will be an iconic structure and will command the skyline in this part of the trendy downtown Vancouver real estate district. At forty one stories in height, the significant structural and architectural addition to Yaletown at The Mark Vancouver will be truly outstanding for the neighbourhood. If you are interested in purchasing a higher floor unit at Phase 2 Mark Yaletown condos, now is the time to pre-register your interest. If Phase 1 pre-sales was any indication, these upper floor suites at The Mark Vancouver condo tower residences will be a hot commodity and will likely sell out within hours of their release, again. Be the first to purchase suites in the top floors of the pre-sales Vancouver Mark Yaletown condo tower. The suites between floors 28 to 41 (twenty eight to forty one) will be coming very soon! The first twenty seven (27) floors were released earlier in the Fall of 2009 with huge interest from the general public and homebuyer. The remaining Yaletown Mark Condos will be released within the next couple weeks, which represents downtown Vancouver homebuyers’ final opportunity to purchase a luxurious unit in this landmark building. Remember that working with an agent will give you the best chances at selection for these final release of downtown Vancouver suites and Yaletown Mark penthouse units that you desire. New homebuyers are also welcome, as most of the one bedroom suites are affordably priced for today’s market. Again, the expected completion is not for a few years, but this master planned downtown Vancouver Yaletown real estate development by Onni Developers is set to become one of the landmark Vancouver condo high-rise towers because of its distinctive architecture, exterior facade and curb appeal. In addition, the functional and spacious floor plans at The Mark Vancouver condos for sale are extremely unique and different to the Yaletown real estate market, providing purchasers with more options to choose from. The Mark townhomes are also now selling with the final release of Yaletown condos featured from floors twenty eight through to The Mark penthouse suites on the 41st floor with amazing views of the water, city and mountains. Some of the incredible features in general for this new Yaletown condo tower includes the amazing views and panoramas that homeowners will get from many of the floors, especially the higher ones. English Bay and the downtown Vancouver skyline are just some views that you can enjoy, including North Shore Mountains and the Yaletown District below you. The great location of the pre-sales Yaletown Mark Vancouver downtown condos for sale is also unique and ideal for singles and couples of all ages. Being central to all the electic/fine restaurants, boutique shopping, transportation routes (including SkyTrain and Bus) as well as the urban parks are an added bonus to buying or investing in the downtown Vancouver Yaletown real estate district today. In addition, the pre-sales Vancouver Mark condos will be close to the incredible sea wall of the False Creek district as well as the waterfront marinas. The Mark also features some of the best (if not the best) amenities that a downtown condo tower offers and includes a fitness gym, guest suites, boardroom, lounge with catering kitchen and much more that home owners can enjoy year round. The completion date is set for 3 years from now, which gives homebuyers at the pre-sales Yaletown Mark condo tower plenty of time to save up and put a bigger down payment on their suite of choice. Some major banks are also providing The Mark Yaletown Vancouver condo buyers with special incentives for locked in fix rates guaranteed until closing, which makes it even more interesting and exciting. This way you can lock in your rates even three years before the completion of the pre-sales Vancouver Mark Yaletown condos, and know how much you will be paying in terms of your mortgage when you move-in. This is a great added benefit to pre-sales Vancouver condo buyers here. Due to our strong demand for the higher floors at The Mark Yaletown pre-sales condos, if you are interested please let us know so we register you in our the insider group. We work closely with Onni and the pre-sales Yaletown Mark Vancouver condo team and will be able to purchase under freinds and family. *Our purchaser’s will take advantage of the following things for their pre-sales Yaletown Vancouver Mark condo purchases for the higher floor suites: first selection of The Mark condo units in the top floors, purchasing prior to Phase 2 Mark Condo public opening at reduced prices plus other purchaser incentives. If you have any questions please do not hesitate to let us know. Thank you, Sean at 604-290-2395. After much delay the 2nd phase is finally set to be released next week. THE MARK – Tallest Building in Yaletown Vancouver real estate market (41 Floors). BE THE FIRST TO PURCHASE – Now Releasing the top floors of the Mark Yaletown Vancouver condo building (28-41). The first 27 floors were released in Fall 2009. You can put your unit on hold now! Introducing the most amazing views of both English Bay and the city skyline in addition to a great location that is close to major transportation, parks, shops, stores, restaurans, services, the sea wall and much more, the Yaletown MARK Vancouver downtown condos are the best that this city has to fofer. Not only that, but there are one of a kind amenities on site for residents to enjoy year round and completion of The Mark Vancouver condo tower is set for three years from now, allowing homebuyers ample time to save more money for their down payments. Due to our strong demand for the higher floors at the landmark Vancouver MARK Yaletown condo tower, if you are interested please let us know so we register you in our the insider group. We work closely with Onni and the Mark Yaletown condo team and will be able to purchase under freinds and family. Purchasers with VIP Registration will have the advantage of the first selection of the top floor Mark Yaletown condo floor plans and pricing, purchasing prior to the public grand opening at reduced pricing and purchaser incentives. The higher floor Vancouver MARK Yaletown condo floorplans and price ranges are now being released. Thank you, Sean at 604-290-2395.